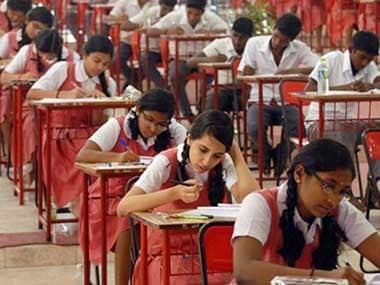 Chennai: Girls continued to outshine boys in the 2017 Higher Secondary Examinations in Tamil Nadu, the results for which were announced on Friday. The overall pass percentage stood at 92.1 percent. 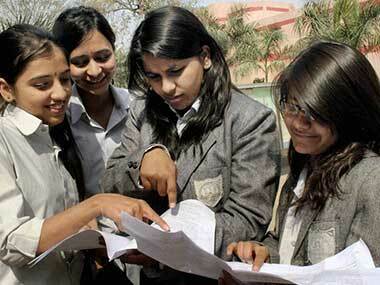 A total of 8,93,262 students had appeared for the exams held in March this year. One transgender student also cleared the exams. Incidentally, from this year onwards, the state government had decided to do away with the ranking system to spare students of "stress". Accordingly, names of the top three rank-holders at the state level as well as in the districts were not revealed, a pratice already put in place by Central Board of Secondary Education (CBSE). However, continuing with traditional trends, more girls came out in flying colours than boys this year also. According to data released by the government, girls recorded a 94.5 pass percentage while that of the boys stood at 89.3 percent. A total of 8,301 students scored centum in Commerce while 3,656 students achieved the feat in Mathematics.